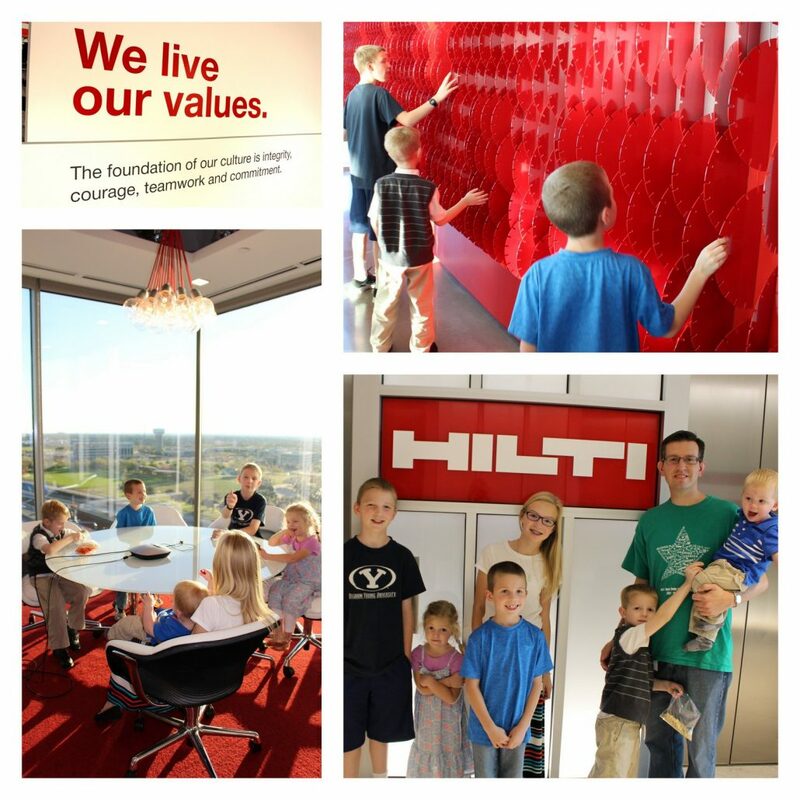 Our family took a field trip to Hilti. We decided to do it on the weekend so we wouldn’t be a big loud family bothering Hilti employees. The wall of saw blades spelling Hilti was cool. The benches and counter top made of beautiful wood from the same Texas tree. The boardroom of windows was fascinating to the kids and they sat down and had a meeting. I think Abe fired a few people as boss.